Cañon City, Colorado, USA. 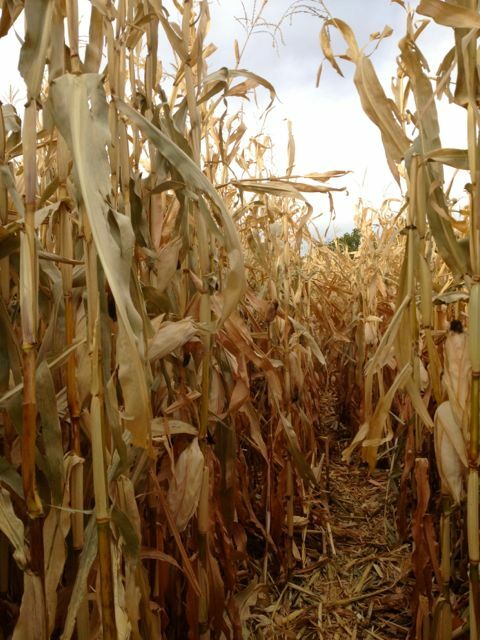 Perhaps I’ve seen too many Stephen King movies, but mazes creep me out. If this had been a frozen snow maze — forget it. 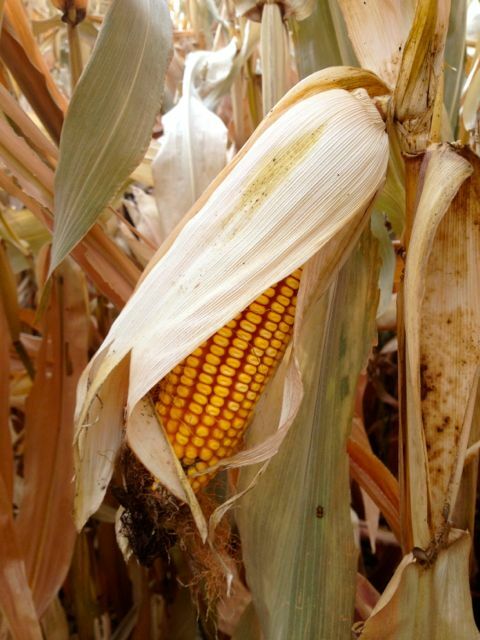 However, corn isn’t necessarily welcoming either — or perhaps it’s welcoming in a you-can-come-in-but-you’ll-never-get-out sort of way. 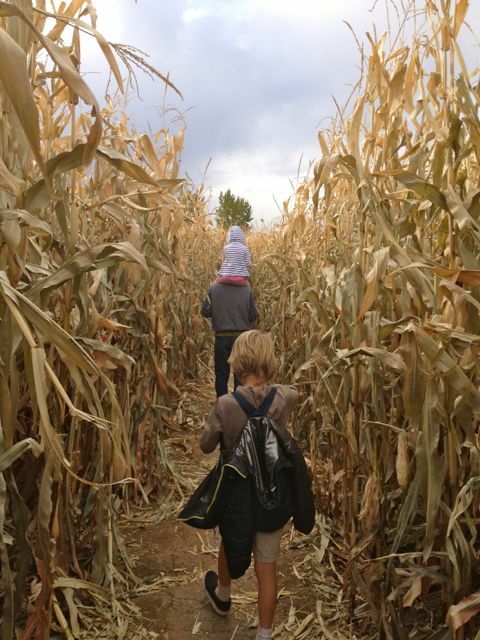 Kurt, the kids and I visited a farm in Cañon City, Colorado with a pumpkin patch and a corn maze for Halloween. The kids loved it (yes, children of the corn). 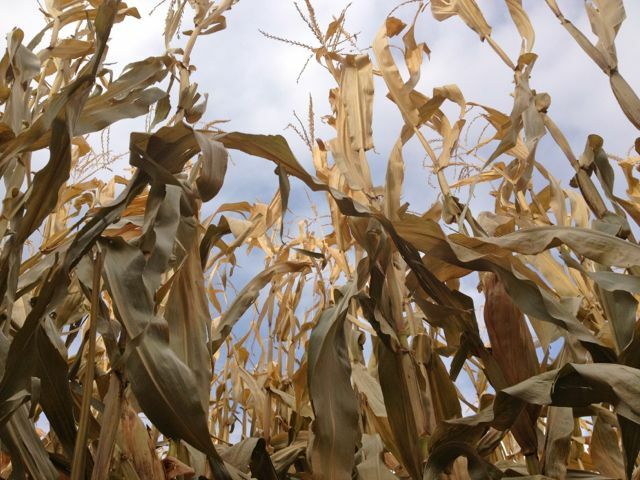 I felt a bit uneasy the whole time we wandered around past what seemed like the same stalks of corn over and over. 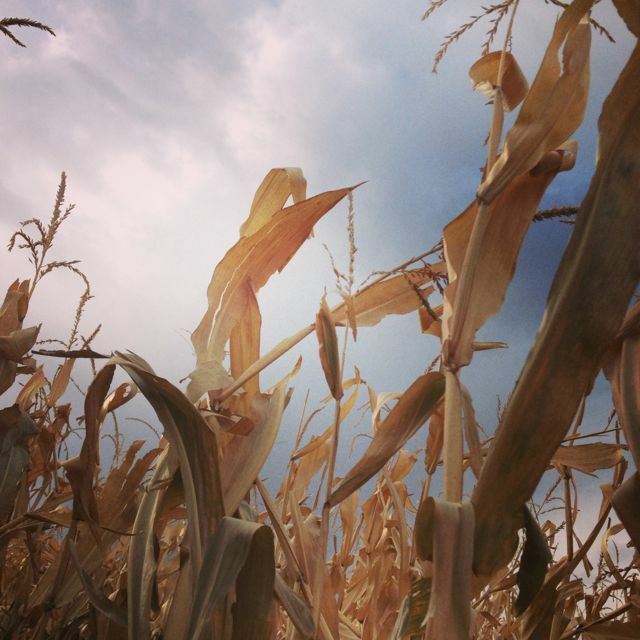 However, the corn, the stalks and the husks offered a parched and foreboding kind of beauty. I just wanted to avoid any encounters with Malachai and a sickle. 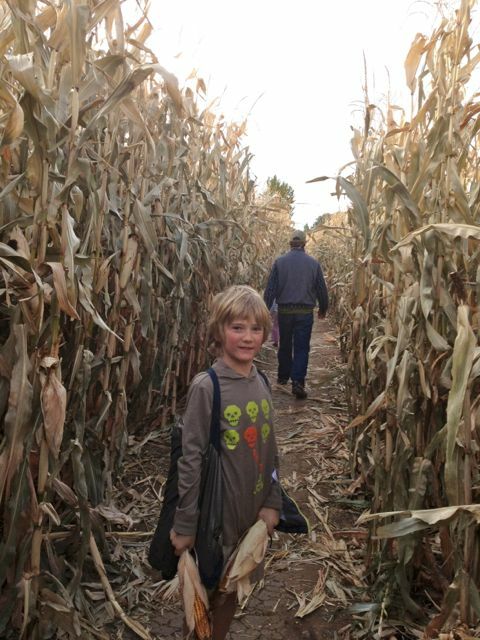 My son, Eddie in the corn maze in Cañon City. Looking like it’s ready to be popped. 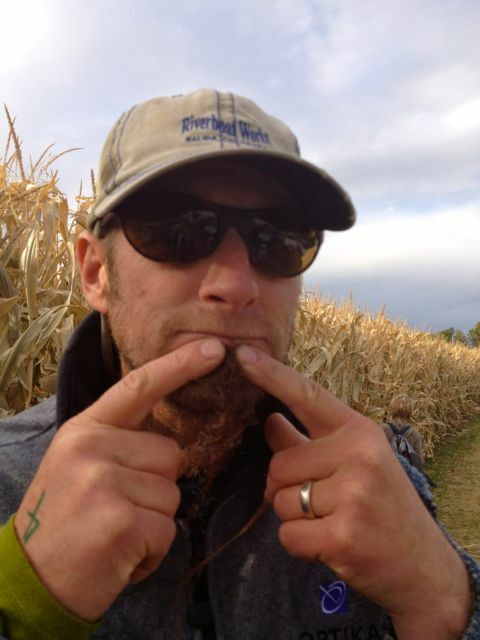 My husband, Kurt sports a corn hair goatee. Getting swallowed in the maze. 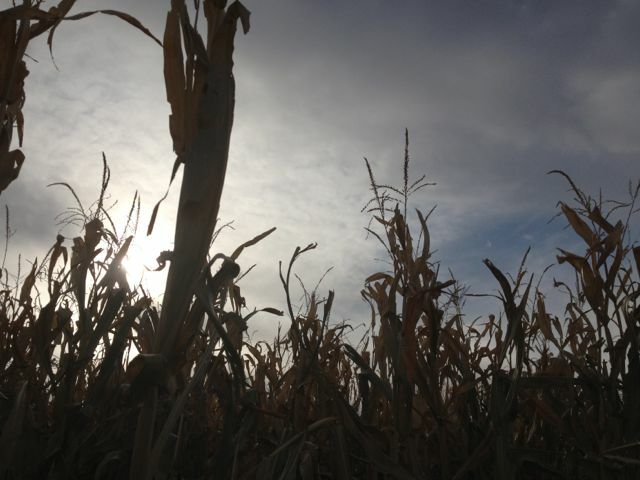 Toward dusk, the corn maze gets a little bit creepy. I think I’ve seen too many Stephen King movies. 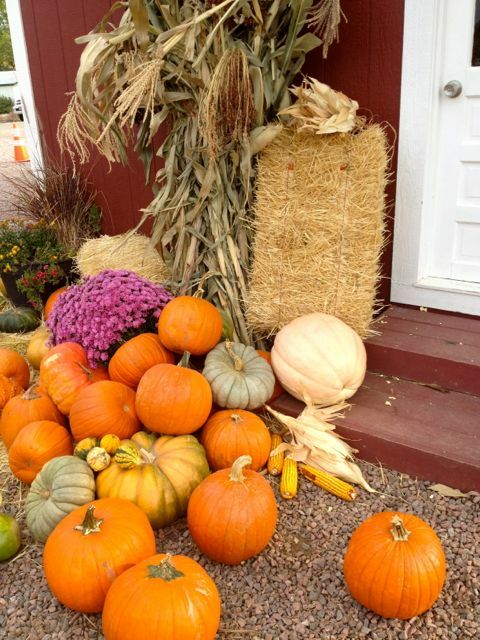 You could get lost in this…. A kind of foreboding arrives with night. 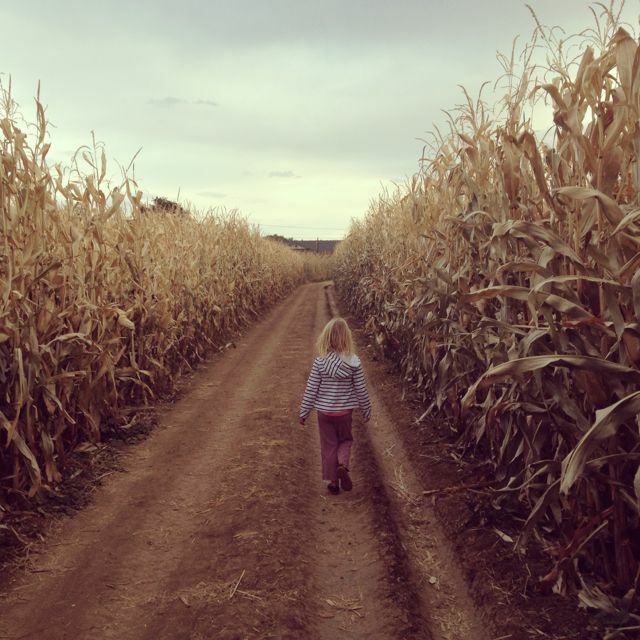 This entry was posted in Colorado, Nature, The Travel Hmm..., Travel, Uncategorized and tagged " Stephen King, "Children of the Corn, corn maze, fall, pumpkin patch by stephglaser. Bookmark the permalink. How is it going, Steph? I’m well — busy, but a good busy. Things are gearing up in the US for the holidays so it’s a bit crazy. I’m trying to do more travel writing so that is keeping me busy, too. What about you? I hope all is well for you, too! I bet you are taking more fantastic photos around India. I love the one you took of the gentleman in Varanasi. Several times after I’ve seen your photos, I get on Priceline or some cheap air travel site to check out tickets to India! One of these days I’ll get there. I am so happy to hear that, Steph. Being busy with what you love to do is a great thing indeed. Travel writing definitely sounds exciting. Thank you, Uday — I will definitely let you know if I am in India (I actually want to pursue a story about how Indian women are portrayed in advertising and how that might reflect the growing economy of India and perhaps changing roles for women). It would be thrill to meet up with you at some point.